British journalist Tatchell offers a sensitively composed account of the beleaguered life and family of Iraqi poet Nabeel Yasin as they weathered decades of repressive government regimes. Tatchell's narrative enters seamlessly into the lives of these middle-class, politically aware Iraqis struggling to keep their family intact amid constant upheavals, from the late 1950s, when the army stormed Baghdad and murdered King Faisal and his family, ushering in the modernizing regime of General Kassim, through the brutal rise of the Ba'athist Party in 1963, to the fall of leader Saddam Hussein in 2003. The Yasin family, composed of shopkeeper father Yasin, his seamstress wife, Sabria, and their seven children and numerous relatives, enjoy relative prosperity living in an upscale Baghdad neighborhood until the boys get older and dabble in political events and the family's security is threatened by the National Guard. First, one of the eldest sons, Juma'a, a teacher in his 20s, is seized as a Communist and held and tortured in the notorious football stadium; later, younger son Nabeel, a poet at the university, begins attracting the regime's disapproval with his outspoken criticism. Youngest son Tariq is eventually conscripted into the Iran-Iraq war, while sister Amel, a doctor, is ordered not to care for “enemies” of the state. 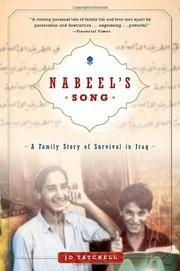 Nabeel is relentlessly persecuted by Saddam's regime, deprived of his livelihood, blacklisted and driven underground until he’s betrayed by an uncle, when he is sent into exile, along with his wife, Nada, and young son. They live in exile for 21 years, all the while the other family members, either in exile or in Baghdad, try to survive the hardships—mother Sabria's losses are particularly poignant. The tremendous human suffering of a nation viewed through the plight of one courageous family. Tatchell's work brings to light an important Iraqi voice.